The Party Central Committee, 12th tenure, convenes its 7th Plenum, to discuss 3 important schemes and this is the most outstanding information in the week. 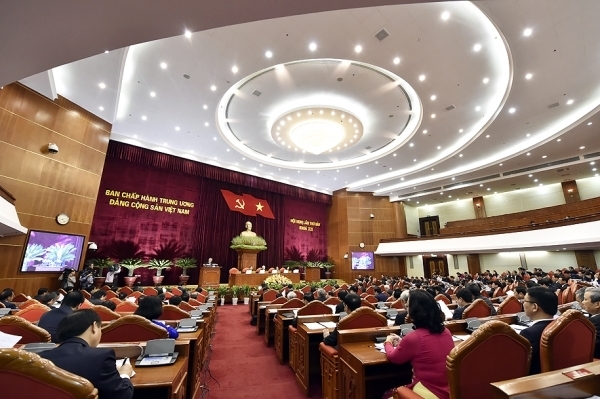 The Party Central Committee, 12th tenure, on May 7 convened its 7th Plenum in Hanoi under the chair of General Secretary Nguyen Phu Trong. On May 7-12, 2018, the Plenum focused on discussing and contributing opinions to the contents of building the contingent of various levels, particularly the one of strategic level with full quality, capabilities and prestige, up to the assigned tasks; of conducting the reform of salary policy for officials and employees, servicemen in the armed forces and workers in enterprises and of reforming the policy on social insurance. Speaking at the opening session, General Secretary Nguyen Phu Trong pointed out some issues for discussion, consideration and decision. He emphasized that cadres and the cadre-related work is of utmost importance, making a decisive significance for the success of the revolution. A well-prepared scheme and Draft Resolution on building a contingent of cadres was presented for discussion and approval at the meeting. On the reform of salary policy, the conference focused on discussing the reform of salary policy to have appropriate measures of breakthrough character and high feasibility so as to be able to do away with the current limitations and inadequacies in an attempt to create motivation for workers and for the economy. In terms of the reform of the policy on social insurance, the Conference wished to issue a resolution on development of social insurance just to make it a motivation for the sustainable development of the country./. The 7th Plenum of the Party Central Committee on May 9, discussed the cadre work. The Conference elected Tran Cam Tu, member of the Party Central Committee, and Tran Thanh Man, member of the Party Central Committee, to the Secretariat of the Party. 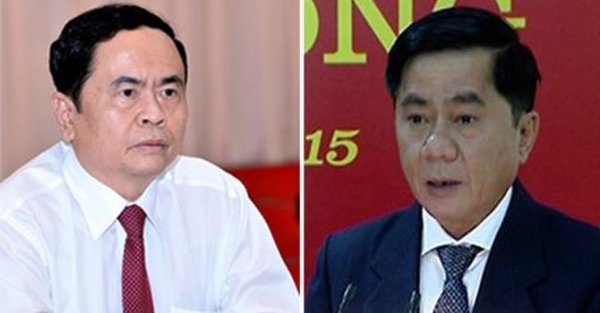 The Party Central Committee also considered and decided to expel Dinh La Thang, former member of the Party Central Committee and Deputy Chief of the Party Economic Board, from the Party. On May 4, the Secretariat held a meeting to consider disciplining Ms Phan Thi My Thanh, Deputy Secretary of Dong Nai Province’s Party Committee, by dismissing her from all the Party posts./. “The planning map of Thu Thiem new urban area” according to decision No. 367 on June 4, 1996 of the Prime Minister of the Government, is a legal document on this project’s planning, but it has disappeared. 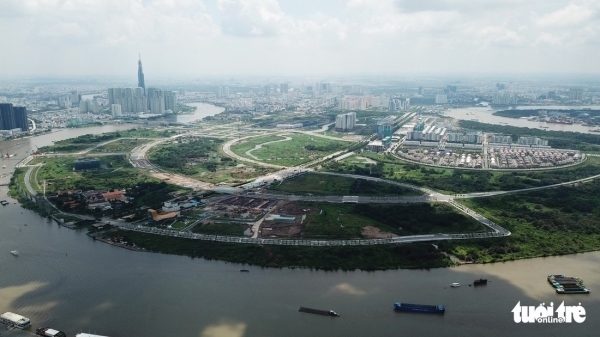 Ho Chi Minh City has spent 10 years to relocate the whole peninsula of Thu Thiem with 15,000 households with the total payment of compensation for floor clearing and resettlement climbing up to VND 29,000 billion. On June 4, 1996, the Prime Minister approved the Thu Thiem New Urban Project with Decision 367. In the course of it, there are a lot of adjustments and in 2012, the People’s Committee of Ho Chi Minh City adopted the scheme adjusting the planning. And according to experts, this adjustment turned Thu Thiem from an urban area into the housing, real estate projects./. As announced by the National Food Authority (NFA) of the Philippines, Vietnam has just won the bid of supplying 130,000 tons of rice to this country. NFA will also open another bidding for purchasing rice on upcoming May 22, 2018. According to statistics of the Ministry of Industry and Trade, in the first 4 months of 2018, Vietnam exported 1,092 million tons of rice, a 22.3% increase in quantity and 38.3% increase in value. 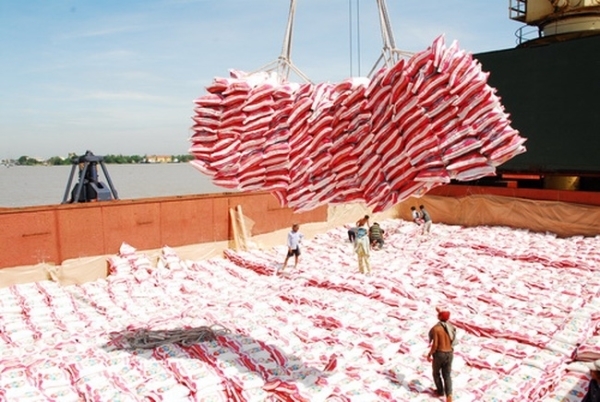 As forecasted by the Vietnam Food Association, rice export in 2018 will reach 6.5 million tons./. The 14th “Meet Vietnam” Program 2018 themed “Science for Development” was opened at the International Centre for Science and Interdisciplinary Education in Quy Nhon City, Binh Dinh Province on May 9, 2018. There are 12 international scientific conferences and 6 scientific subjects with the participation of 1,500 scientists at home and abroad. At the “Science for Development” workshop held on May 9-10, 2018, over 200 scientists from 40 countries and territories attended it. Especially, there are two Nobel laureates, Prof. Finn E. Kydland, Nobel Laureate in Economy in 2004 and Prof. Gerard Hooft, Nobel Laureate in Physics in 1999, who had important speeches. Speaking at the workshop, Prof. Tran Thanh Van, Chairman of the Vietnam Meet, stressed that this is the biggest workshop in Asia-Pacific region this year. 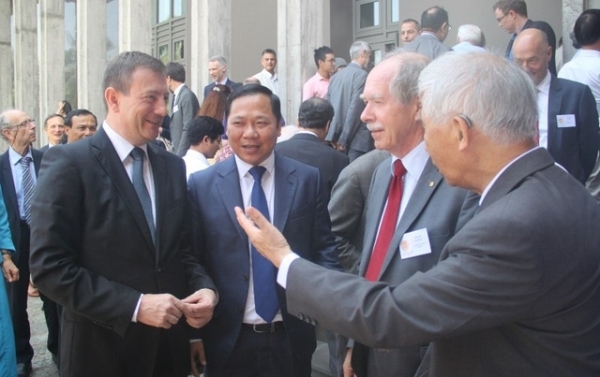 It is also an opportunity to connect science of Vietnam and the world so that young Vietnamese scientists could have a chance to approach and learn from great scientists in the world. Since 2013, the Vietnam Meet has held over 40 international scientific conferences in Binh Dinh Province, 16 thematic workshops with the participation of over 3,500 international scientists, especially there are 12 Nobel laureates and 2 Field Mathematics Prize winners and many others./. 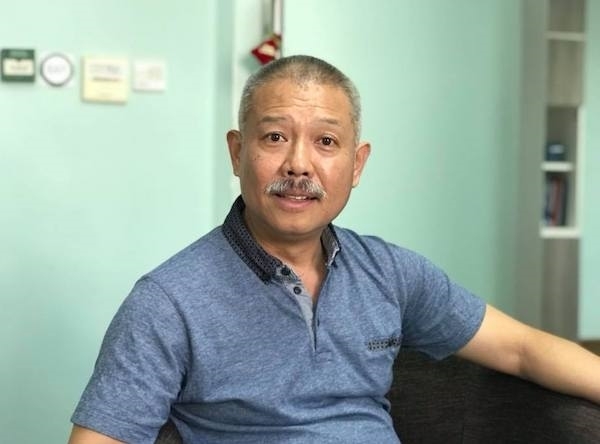 Prof. Truong Nguyen Thanh is unqualified for the principal of Hoa Sen University and he has left for the US after one year working in the university. Born in 1962, Truong Nguyen Thanh is a doctor-degree holder in chemistry and computational sector accredited by Minnesota University, USA, in 1990. He gave lectures at Utah University, US in 1992-2002. On the other hand, he was also the head of the Science and Computational Technology Institute, Ho Chi Minh City from 2007 to 2017. Since January 17, 2017, he was the deputy principal of Ho Sen University, but he was not promoted to the principal of the university because he had not managed the department level of the university of at least 5 years as stipulated by the Law on Tertiary Education of Vietnam./. Of 925,961 students registering for national high school examinations, 688,641 students have registered for university enrolment exams, a year-on-year 7.5% increase. There is a big difference concerning the registration of subjects. In the previous academic years, the economic and business block was the students’ top choice, accounting for 32% of the total number of the files for tertiary enrolment; but this year, it is only 26%. This shows a change in job selection among students. However, the competition in this year’s tertiary enrolment is very high. The structure of test subjects in 2018 is that 60% is the basic knowledge and 40% is advanced knowledge so as to classify examinees. The test subjects will have 4 groups of questions, ranging from easy to middle, difficult and very difficult. The national high school examinations will be organized in 3 days, on June 25-27, 2018./.